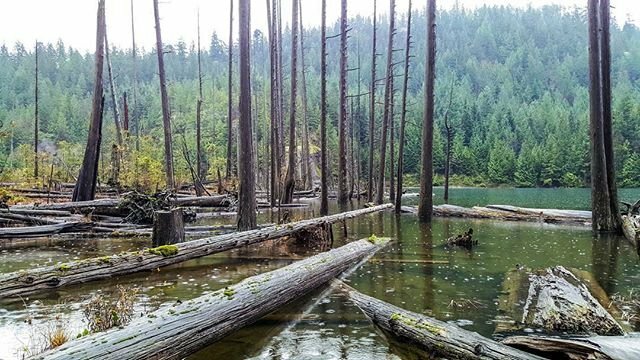 At Scenic 7 BC, we know the end of summer is quickly approaching, which means long days at the lake are quickly coming to an end. To soak up the last few weeks of summer here are the top lakes to visit along the Scenic 7 Highway. You’ll have a splashing good time! 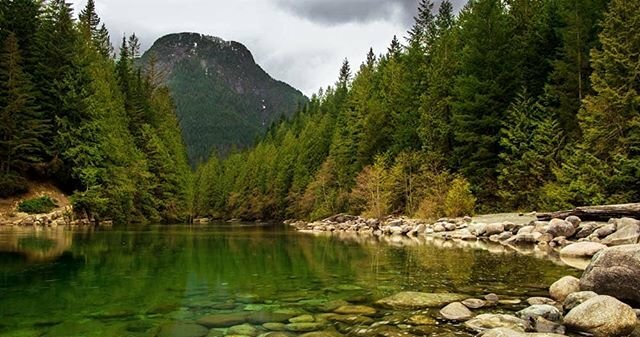 Located north of Harrison Hot Springs, Sasquatch Provincial Park is characterized by a series of pocket lakes, a luscious birch forest, and scenic mountain ridges that can be seen for miles. Situated in Sasquatch Provincial Park sit Hicks and Deer Lake, which are ideal for motor-boating and canoeing. This is the perfect spot for families and visitors to camp, hike, and picnic. *Note: Due to the poor air quality and BC Wildfires the park has been closed until further notice. Elbow Lake is a small body of water just a couple kilometers up a dirt road, right off of Highway 7. Easily accessible by car, this small lake has only a few campsites for you to choose from – making it the perfect secluded and quiet camping spot. If you’re a big fisher – Elbow Lake is stocked with bountiful Rainbow trout. The fish may be small but numerous. This is definitely the place to be to soak up the natural beauty of BC. 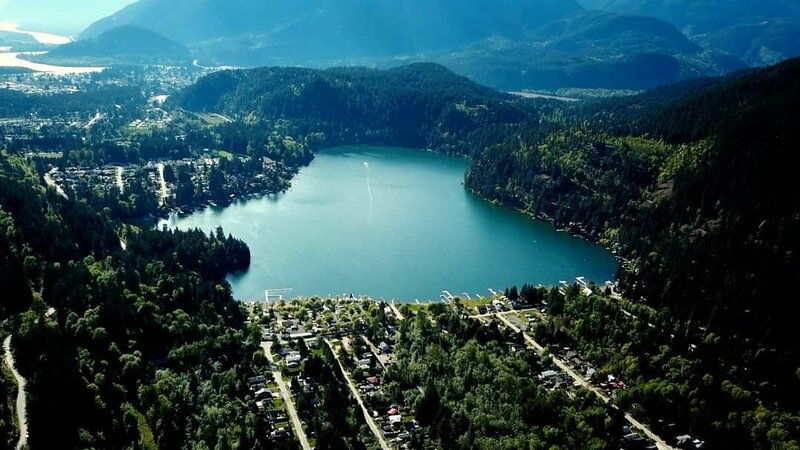 Stave Lake Reservoir definitely ranks among the larger lakes in the Lower Mainland and is well known for its variety of sport fishing and make an enjoyable pastime. Along with rainbow and cutthroat trout, you can also find large bull trout in the lake. Managed by BC Hydro, these lakes provide many recreational opportunities as well as a healthy portion of BC’s hydroelectric power. Stave Lake recreation area offers a great picnic table area, restrooms, swimming beach, and a a great spot for group camping. Alouette Lake located in Golden Ears Provincial Park is home to one of Metro Vancouver’s most popular campgrounds and largest parks in BC. Known for its impressive beach, the views of the lake with the mountains all around are quite spectacular, and the giant lawn in front of the beach is a popular place for those to come for a picnic and play lawn games. At the beach there are specifically designated swimming areas, canoe and kayak rentals available during the summer, and BBQ attachments on some of the picnic tables. Fishing, windsurfing and water-skiing are also popular on the lake if you have your own boat! The to-do list at Alouette Lake is truly endless. For those looking for more of a leisurely time there are copious amounts of trails throughout the park for those wanting to hike, or ride horseback. For those interested in a bit of a journey, there is a river and trails to waterfalls just a short drive from the Alouette Lake beach and campground. Kawkawa Lake is another quality spot for families to stop at or for those wanting to fish for the day. A reasonable drive from Vancouver, this lake is best known for its large kokanee (landlocked salmon), which can reach up to 3+ lbs in weight, making for one heavy catch! However, shore access is quite limited to private properties so it’s best to bring a boat if you choose to fish. If you like your water sports make sure to get in some much needed water skiing, wakeboarding, tubing, jet skiing, as well as dune buggy rentals while you can before the seasons change! Spend the day here, set up shop at one of the picnic tables, get the kids situated on the grassy areas and get ready for a day at the beach, boredom will not be in your vocabulary during your stop here! Harrison Lake is a freshwater lake that is glacier-fed making it extremely cold if you wanted to go in for a quick dip. 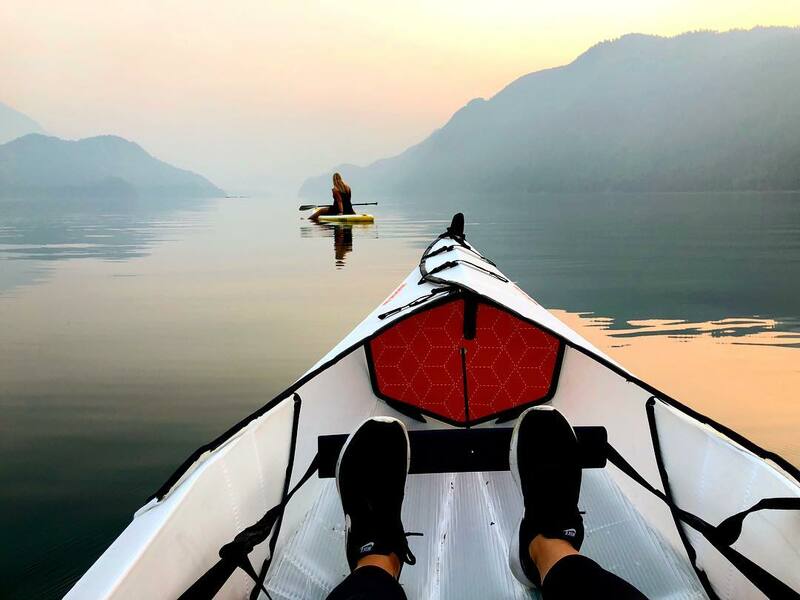 Besides the chilling water, Harrison Lake is breathtaking with beautiful coves, waterfalls, rock cliffs, abundant forests, snow-capped mountains and exceptional beaches. Bring the family here or just take a little getaway for one – to recharge and refresh. Here you’ll be able to fish from a variety of Cutthroat trout, Rainbow trout, Chum, Coho, Sockeye, and Chinook Salmon while taking in the scenic views. Get a glimpse at other wildlife such as Harbor Seals, Canadian Geese, Herons, and too many different types of waterfowl to list. As well, storms can make the lake a dangerous place to be, so exercise caution and common sense. To learn more about water safety and Harrison Lake please go to our Water Safety page. Located at the heart of Coquitlam, Lafarge Lake is just one of a dozen urban lakes that provides convenient access and fast fishing for entry-level and youth anglers. 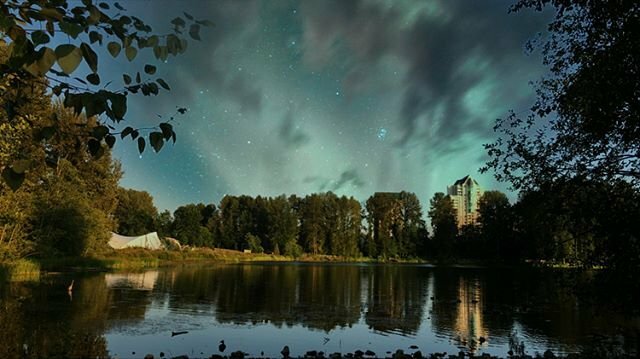 The five hectare lake is situated just north of Coquitlam Centre Shopping Mall, on Pinetree Way. If you weren’t already aware, Lafarge Lake is a man-made urban lake that used to be a gravel pit. Cool, right? 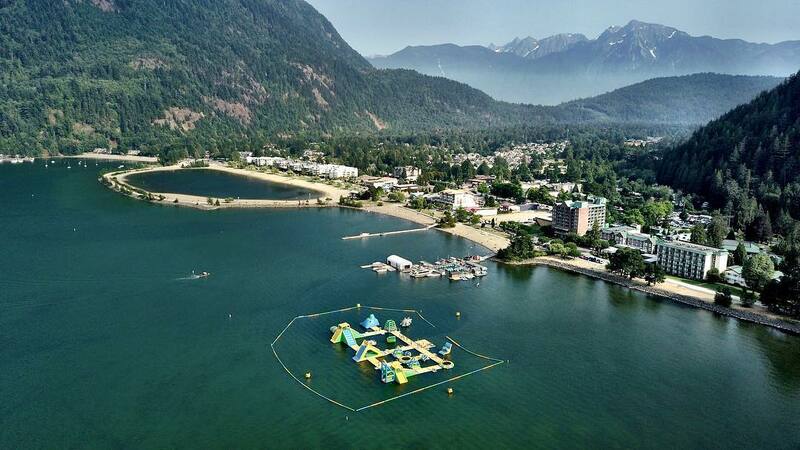 The lake was donated by the Lafarge Cement Company to the City of Coquitlam in the 1970’s. It’s a pretty good place to unwind after a day of shopping with the kids at Coquitlam Centre Mall. The lake is regularly stocked with rainbow trout between March and November by the Fraser Valley Trout Hatchery. Fishing can be done year-round, but the best fishing months are March to June, and September to December. 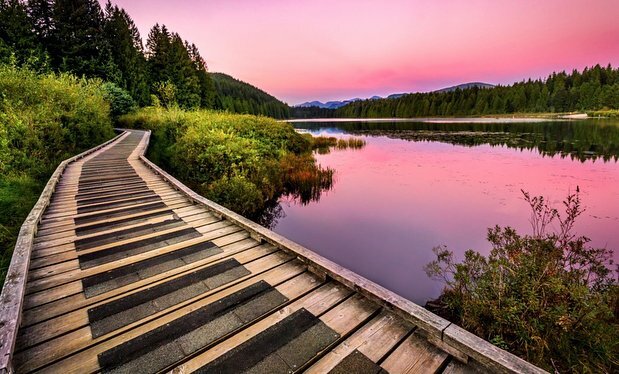 Less than an hour drive from Vancouver, Rolley Lake Provincial Park provides a quick escape from urban city life. 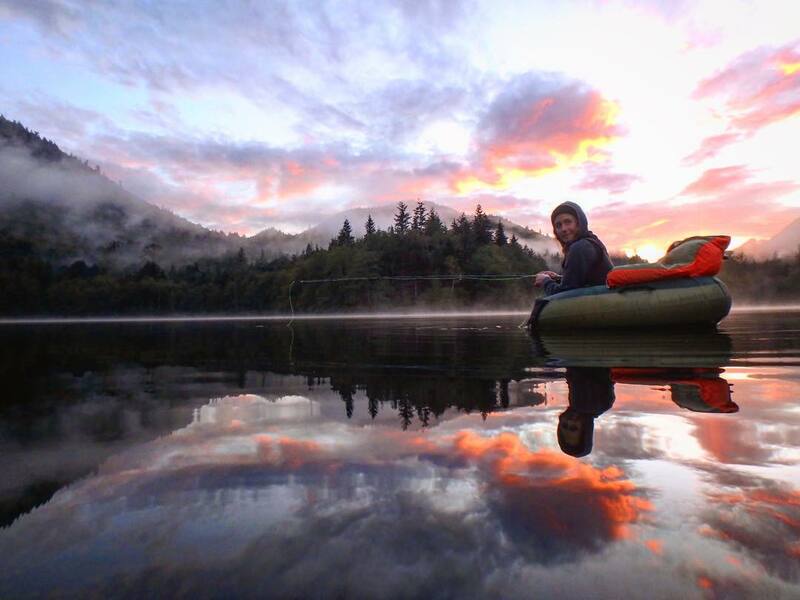 Located close to Golden Ears Provincial Park, Rolley Lake is known to be one of the region’s best places for camping. In the summer the nice sandy beaches and shallow, calm waters are perfect for the smaller kids to play and swim in. Come set up for the day or camp overnight and enjoy the nice walking paths around that circle the lake, or go for a ride in your canoe or kayak (rentals are not available so visitors need to bring their own boat). *Friendly tip – Rolley Lake is a very popular spot for campers in the summer. If you want to camp overnight on a weekend, you may want to think about reserving a couple months in advance. ■ You must have a valid British Columbia freshwater fishing license. ■ Specific lakes will be located in certain Regions in the British Columbia freshwater fishing regulations. Please read to make sure you are following the correct guidelines per region. If you would like to learn more about the Top 7 lakes to visit along Scenic 7, or if you are interested in learning about other communities and attractions along the Scenic 7 Highway, please contact us by filling out a contact form on our website.